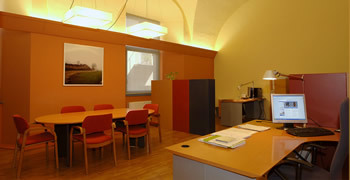 The Landscape Observatory of Catalonia is an advisory body of the Government of Catalonia and Catalan society in general on matters of landscape. Its creation responds to the need to study the landscape, prepare proposals and sensitise Catalan society to the need for better protection, management and planning of the Catalan landscape in the framework of sustainable development. One of the main purposes of the Landscape Observatory is to increase knowledge of Catalan landscapes among Catalan society and to support the application in Catalonia of the European Landscape Convention. In this sense, the Landscape Observatory will be the meeting point between the Government of Catalonia, local authorities, universities, professional groups and Catalan society in general, in everything referring to the management and preservation of the landscape. The Landscape Observatory, therefore, seeks to become a centre for the study and monitoring of the evolution of landscape in Catalonia and the factors conditioning change. It also aspires to become a point of reference for scientific and technical research in matters of landscape. 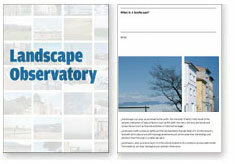 The Landscape Observatory, in short, is conceived as a centre of ideas and action in relation to the landscape. The Landscape Observatory is organised as a consortium and is included in the Act for the protection, management and planning of the landscape in Catalonia. It was legally formed on 30th November 2004 and its constitution was published in the Government of Catalonia Official Gazette (Resolution PTO/3386/2004).